Vegetarian … yeah, vegetarian. We’re pretty much completely meat-free now. Seafood being the exception. 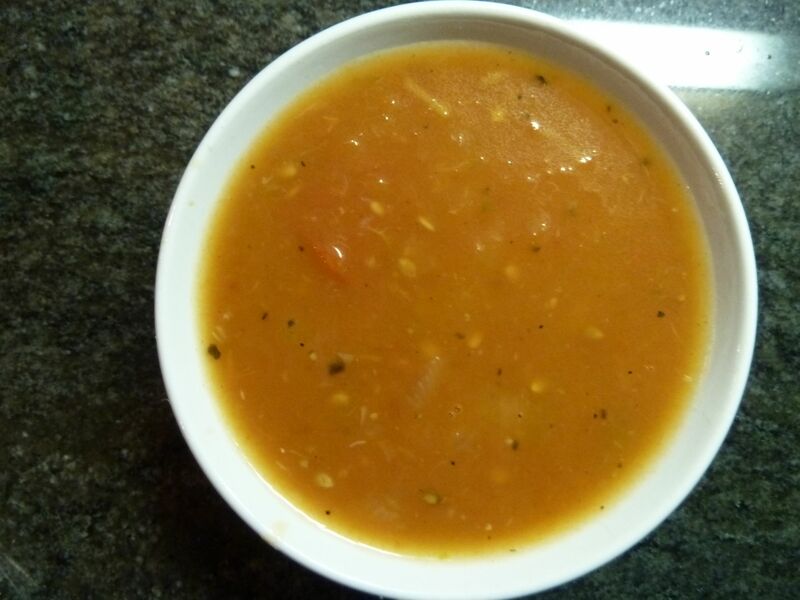 And chicken stock, although we have been doing a good job of keeping ourselves supplied with homemade vegetable and seafood stocks. The reason for ditching the fowl – the last remaining terrestrial flesh I ate – was simple. I just don’t trust where it comes from and what’s in it. Sure, I could purchase meat from Whole Foods or a retailer that sources only organic and local foods. News alert: That stuff is expensive. Local fish and seafood is, too. I get that. But somehow I feel the seafood is a better value for the protein we get. And we use it all—from tip to tail (or claw). And we enjoy being members of our local Community-Supported Fisheries. I guess that’s a big part of it, too—it makes us feel good to support the local folks who definitely could use our dollars. Okay, back on track. 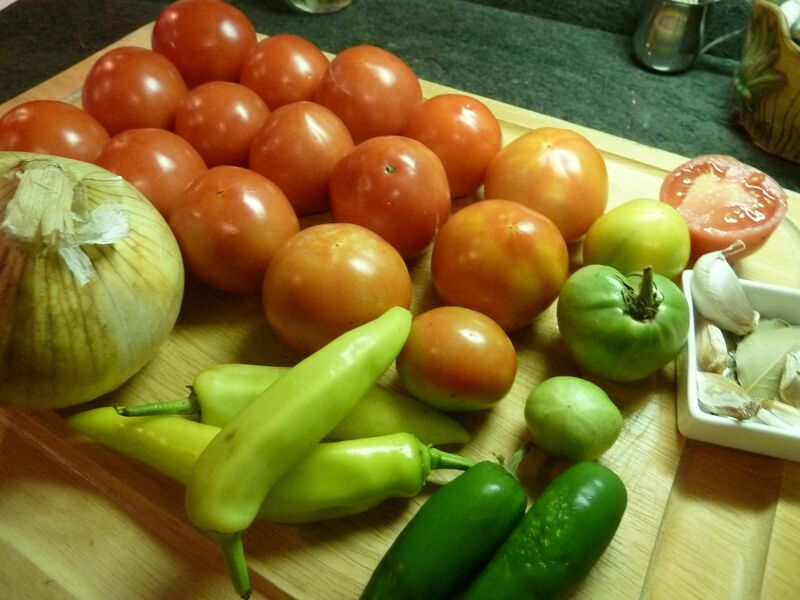 We’re talkin’ veggie chili here. I wish I could take credit for this but I can’t. This is one of Jennifer’s signature dishes (one of many). I have made it now and then, but she does it justice. And Jennifer, if you see anything wrong with the recipe, please correct me in the comments section. Vegetarian chili with a touch of chocolate - we added green beans in place of the corn (we were out!). 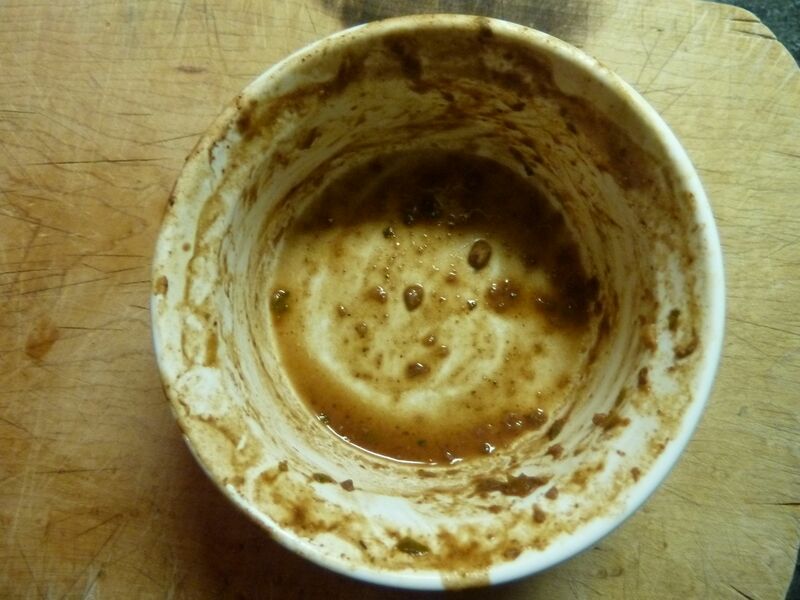 Vegetarian chili, two minutes later. 1. In a large pot or Dutch oven, heat oil to medium and add chopped onion and garlic. 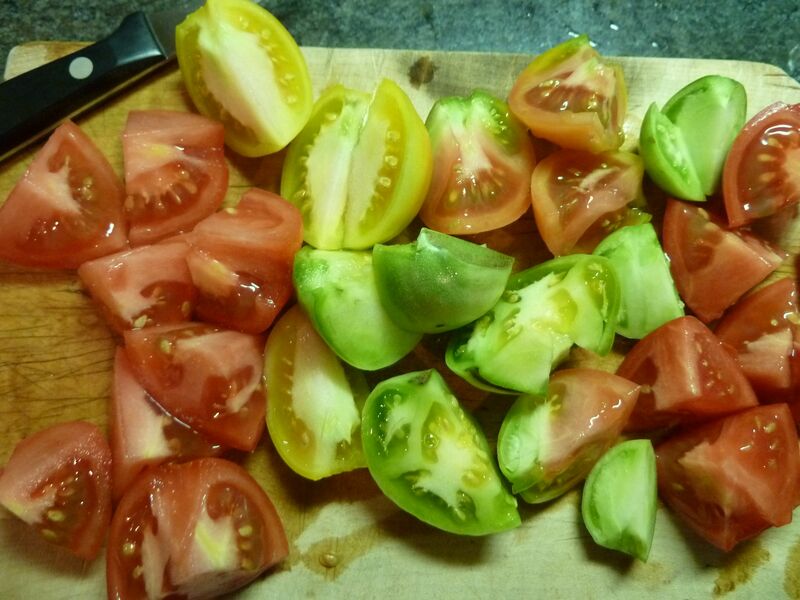 Saute until translucent. 2. Add both types of peppers and cook until tender – about 5 minutes. Add the bag of frozen soy crumbles just so it thaws out a bit before adding other ingredients. It’ll take just a couple of minutes. 3. Add the tomatoes, beans, corn, chili powder, cocoa powder, lime juice, cumin and oregano—and a general sprinkle of salt— stir thoroughly, and let it come to a boil. Turn heat down a bit and let it simmer for about 30 minutes. During that time it will thicken a bit. 4. Add in the 2-oz. block of chocolate and stir it around, helping it to melt and incorporate into the chili. Add the cilantro, season to taste with salt and pepper. Serve with a dollop of sour cream, Greek yogurt, guacamole, grated cheese or straight up. Give it a taste. Good, right? And you know that flavor that’s right on the edge of being familiar? It’s the chocolate. Serve it to guests and when they ask what that ingredient is, don’t tell them. It’ll be our secret. 1. Feel free to soak and use dried beans of any kind. I would use 1 cup of two different types of dried beans—we’ve used pinto, cranberry, garbanzo. 2. Want to speed up the cooking? Use a pressure cooker. It’ll shave off 10-15 minutes from the simmering time. Day 3 on the Homegrown Food Challenge and no fish heads were lopped off on this particular day. But the grill did get lit, and that’s always a fun thing. Here’s how our day progressed. Starting to look very familiar. Flat Black coffee with Maine’s Own Organic Milk. Stonyfield yogurt with local apple, honey and a crumbled Effie’s oatcake. We’ll get a bit more creative with breakfast on the weekend, no worries. Jennifer and I both had big salads with local stuff, similar to the one I had for lunch on Day 2. Local lettuce and red pepper, pickled beets, homemade dressing, etc etc. I even made some homemade croutons from homemade bread. This is where the grill gets lit—finally! We cranked it up for some pizza made with homemade pizza dough. Two pizzas are usually enough to take care of dinner plus give us enough for lunch the following day. 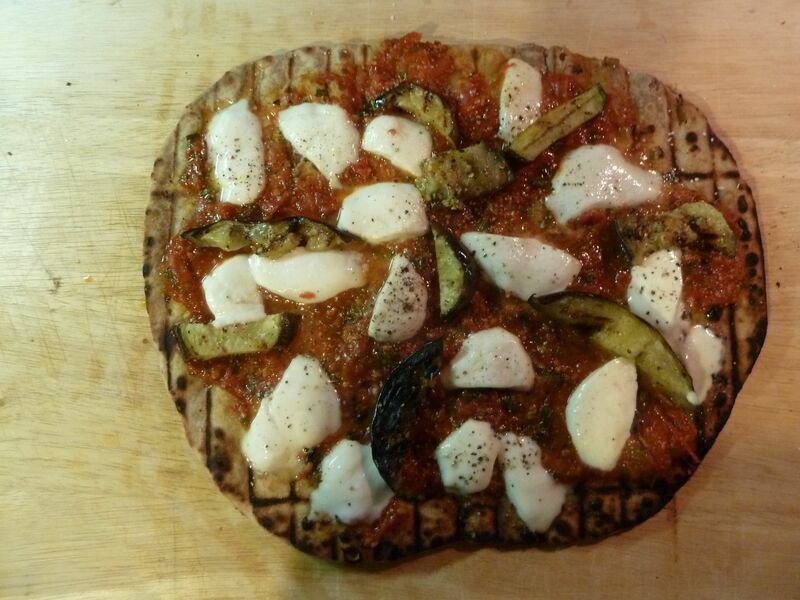 Pizza #1: Homemade sauce using slightly green homegrown tomatoes (similar to the roasted cherry tomato sauce I make), grilled eggplant (from farmers market) and locally made mozzarella. 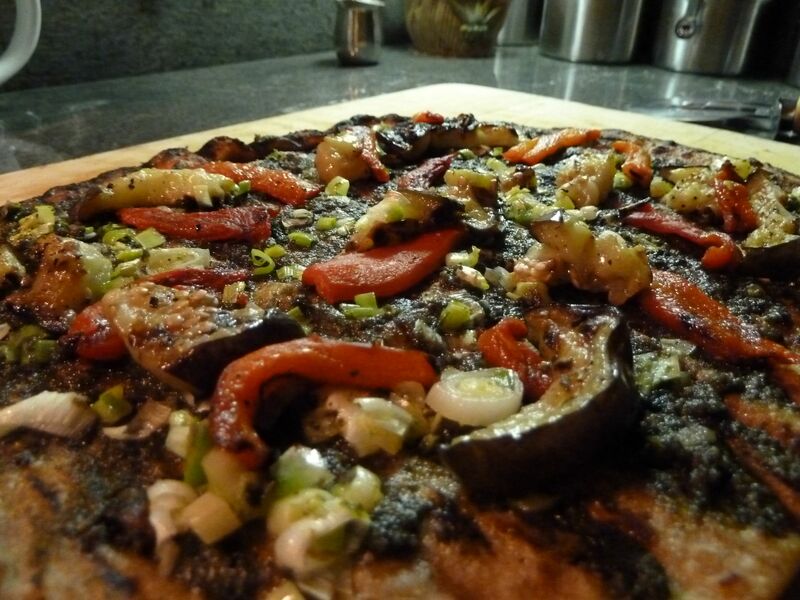 Pizza #2: Homemade pesto using homegrown basil, grilled eggplant, roasted red pepper (from farmers market) and caramelized homegrown leeks. Can’t have pizza without beer, right? We had some Whale’s Tale Pale Ale from Cisco Brewers on Nantucket. Pretty tasty stuff! As I am two days behind in posting, I can hint at what awaits you for Day 4: One of the most fabulous creations to ever have been sandwiched between two pieces of bread. Think I over-exaggerate? Oh. No. I listen to the local news as part of my morning ritual. But, most days I head online if I want to learn about the weather, even though sassy JC Monahan just gave me the five-day forecast five minutes ago. My memory is a sieve when it comes to the weather. Except … when frost is predicted. It’s been a whole five hours since I heard this morning’s news, and I can still remember JC predicted frost will be in the air for Worcester County and western Massachusetts this evening. Thanks to being a “heat island” with all our brick and pavement, Boston proper will make it only down into the low 40s. 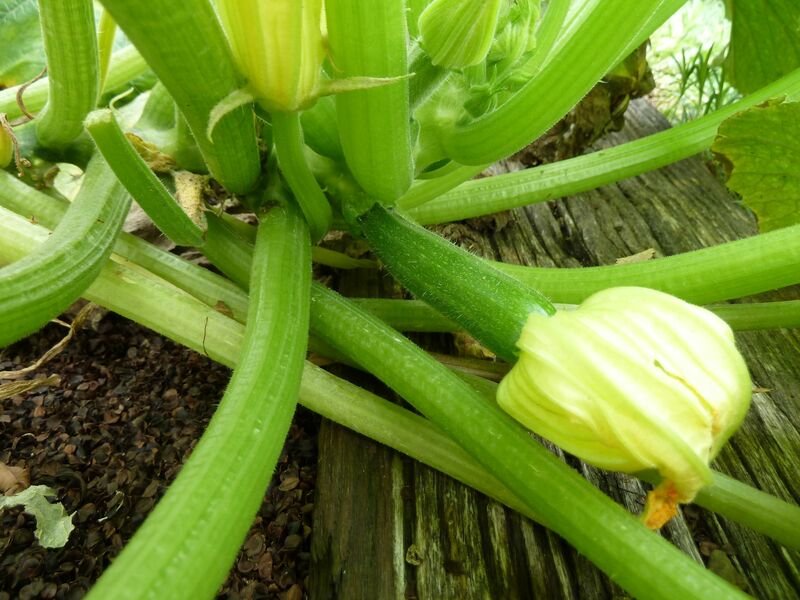 Zucchini/squash: Not a good year for them and they are not beefy enough to deal with temps too much colder than the low 50s. Hey, I had zucchini up until November last year. Maybe a quick one-night of 40s will be fine. 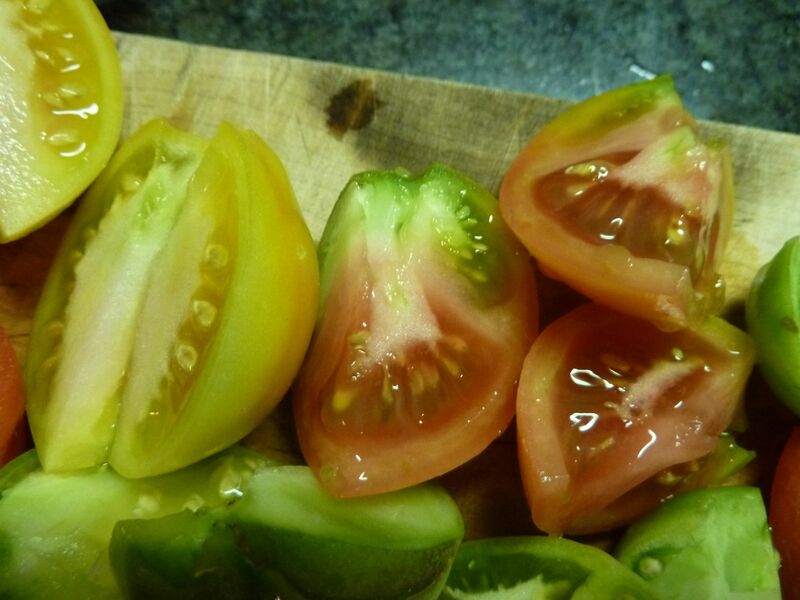 Tomatoes: I have just two plants left and neither look great. It’s just cruel of me to keep them hangin’ on. Absolutely cruel, like pulling wings off flies. But I do it to see how far they can go. Carrots - they'll be just fine. 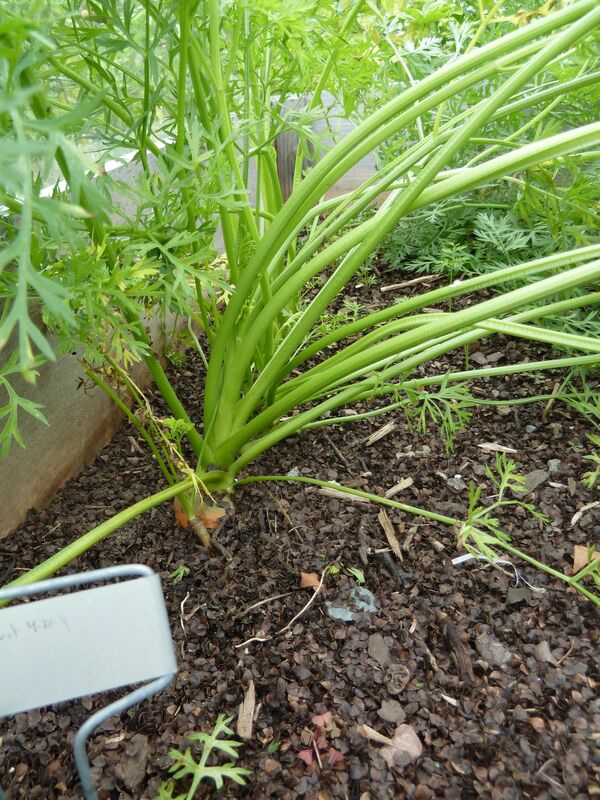 Carrots: They’ll be just fine for a long time yet, thanks to that insulating layer of soil. 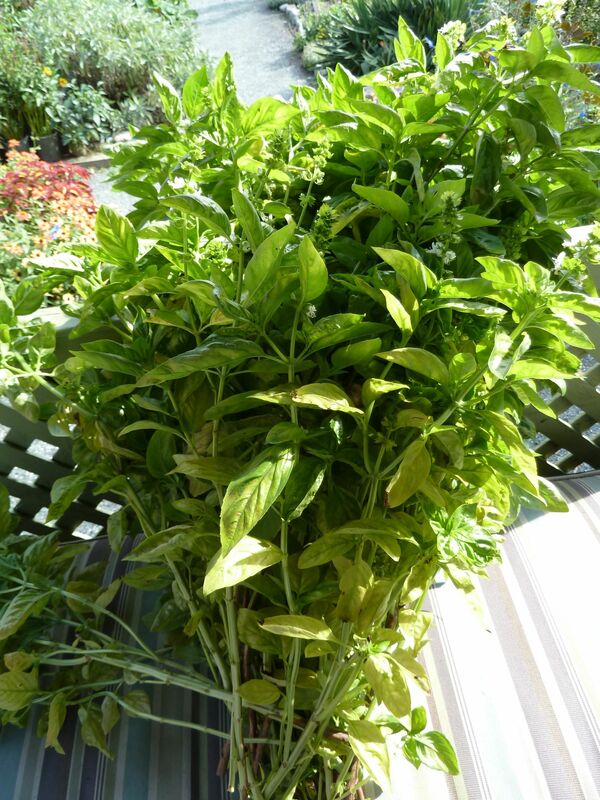 There it is - the rest of the season's basil. Basil: Aaaaccckkk!!!!! I better go harvest that asap. It definitely won’t survive. It doesn’t even like my fridge set much below 45. 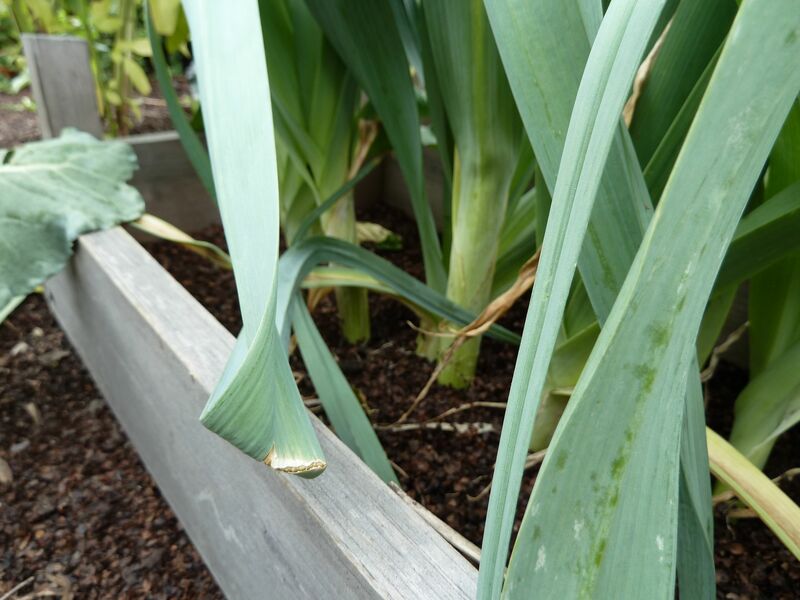 Leeks: I have a good batch of leeks going this year. VERY excited about them. They’ll hang on for a good long time yet. I won’t have to worry about them until November or so. At that time I will try to mount them with as much soil as possible. I could be lucky enough to harvest leeks in January if I work it right. 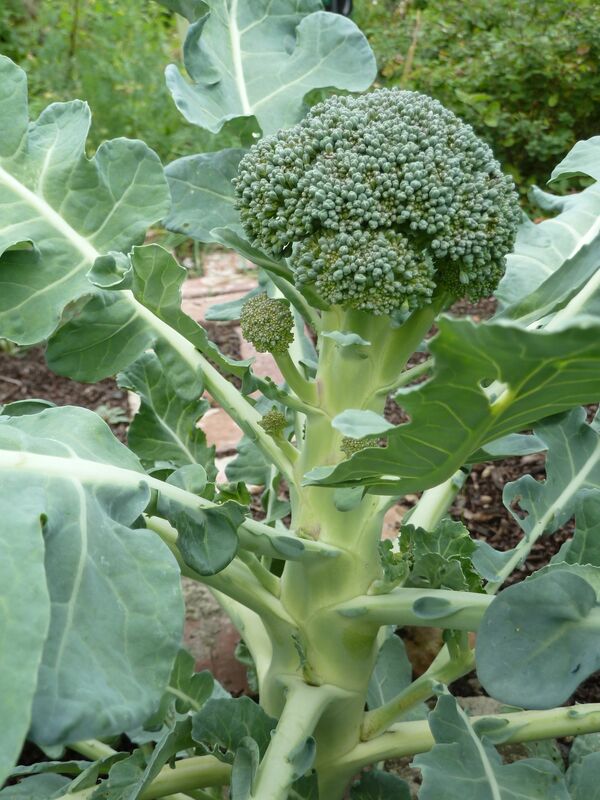 Broccoli: It’s lovin’ this time of year. Chard: Back in mid August I pulled up all of my chard. Or so I thought. On a few of the smaller plants I pulled the biggest leaves off, leaving the small runts behind. 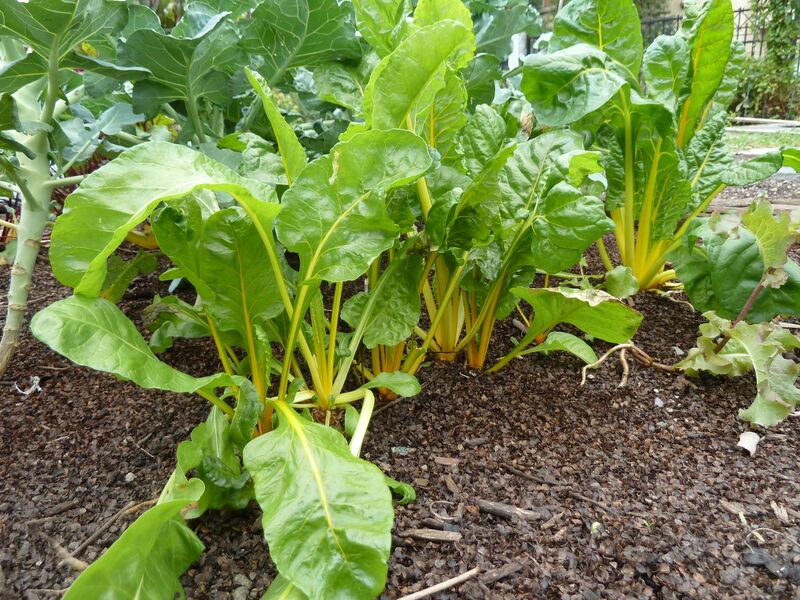 A Well, wouldn’t you know but I have a batch of chard ready to go. 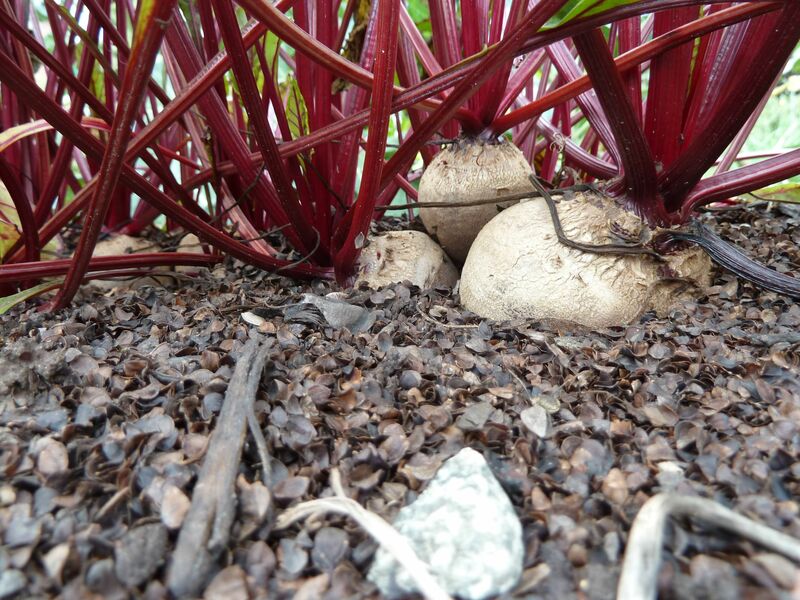 The beets are so excited, they are pushing themselves outta the ground. Beets: Happy as clams in this weather. And I have a lot of them. I’ll be harvesting them two by two for the rest of the month. I still have a whole jar of pickled beets in the fridge—maybe I need to make another. -While the sun is still out, break out that old set of sheets you never use anymore and cover the most sensitive plants. 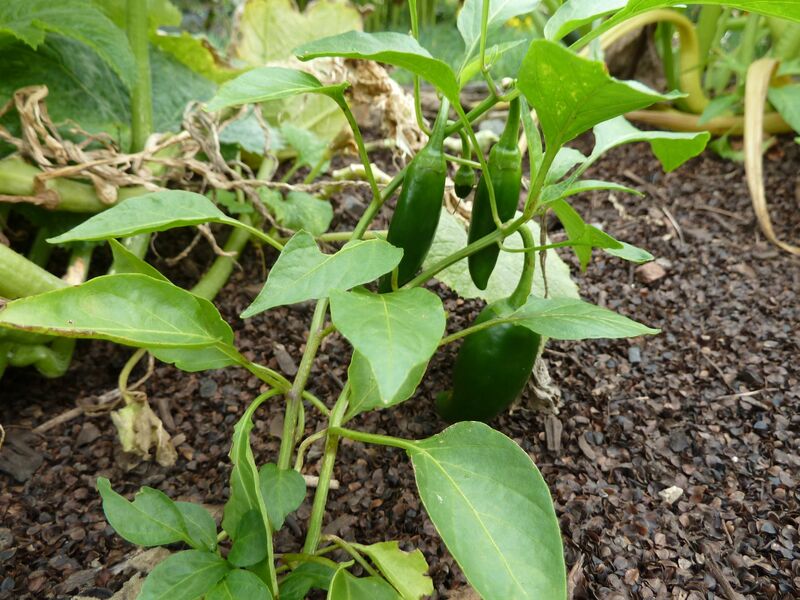 The sheets will act light a light coat and keep the temps slightly elevated underneath as the soil gives off heat. Remove those covers the next day—it could really heat up under there. Plus, your neighbors will start talking about you. Don’t have extra sheets or plant covers? 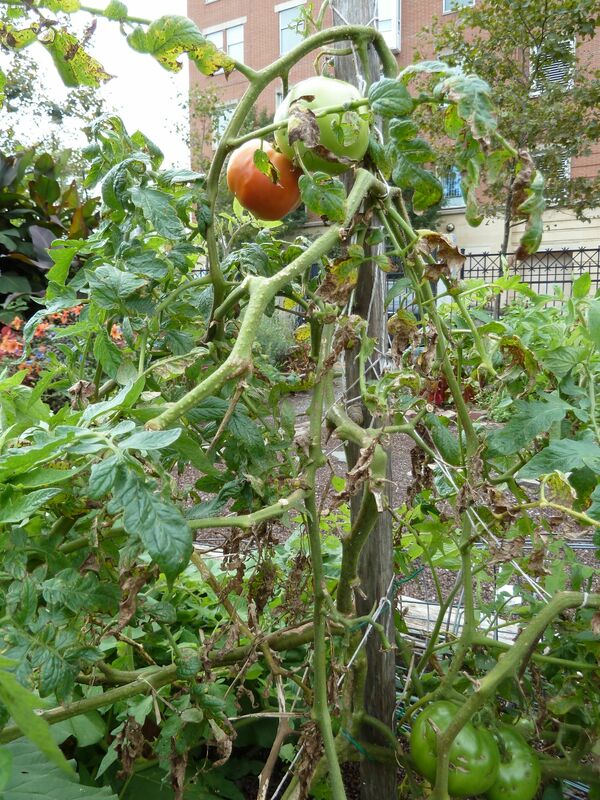 -As evening sets in, turn a hose on and water down the summer-loving veggies—the leaves, stems, fruit, etc.—and also the soil around the plants. The water around the foliage will freeze first or give up its heat first (it’s physics). Same with the moist soil. Maybe with the temperatures climbing in the 80s starting tomorrow, I’ll be lucky enough to have some homegrown zucchini for next week’s Homegrown Food Challenge. One of the things we do when we spend time in Provincetown is head over to the Saturday farmers market. 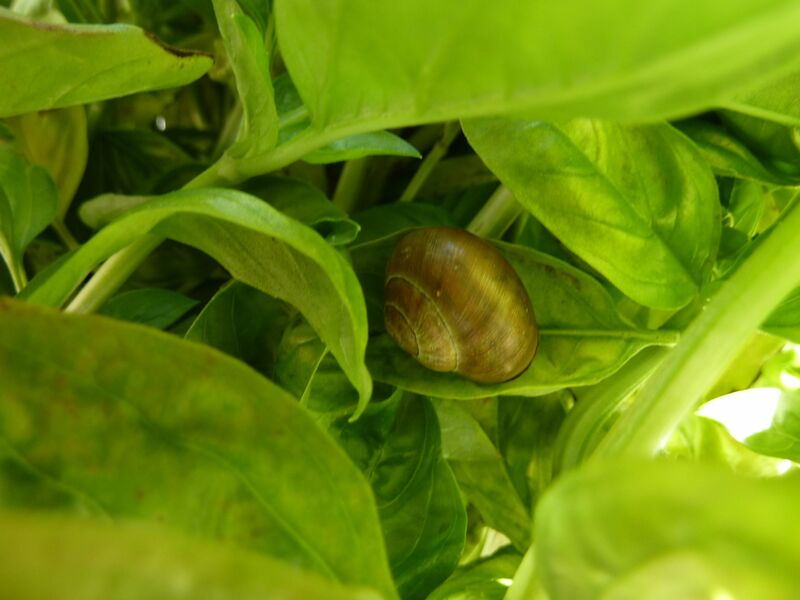 This time of year the stalls offer some great fresh produce we haven’t seen locally since last summer. This time we picked up two smallish eggplants. Versatile! Yummy! Pretty! Eggplants are all of the above … And also a bit short-lived on the countertop, especially in weather like this. What to do with them? We could grill. We could stuff. We could make lasagna. We could bread. And we did none of those. 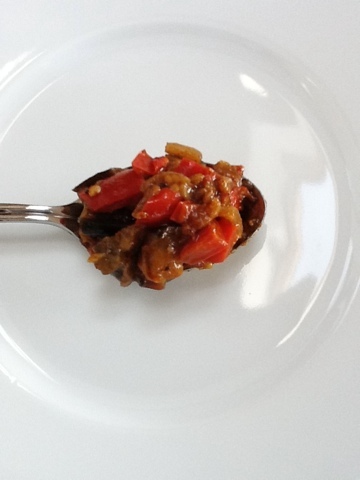 Instead, when they began getting “long in the tooth,” we turned to an old standby – spicy eggplant relish. I pulled this recipe from my Moosewood cookbook a few years ago for a get-together and used it as a dip. It got a great response. We used the leftovers in numerous ways, such as a spread for sandwiches, and also as an eat-by-the-forkful snack. Can’t remember exactly which Moosewood cookbook it came from, possibly the original. Luckily its a popular recipe and we were able to find it online – hey, we’re on vacation, we don’t travel with old cookbooks. -heat oil over medium-low. Add onions and sautée until softish, 4-5 min. -add cubed eggplant and red pepper. The eggplant will soak up a lot of the oil. Stir really well to coat all of it. Let it cook low and slow. Add a generous pinch or two of kosher salt and several turns of fresh pepper. -Let it cook down awhile – 5 min or so. Add in as much cayenne as is appropriate for you. Cook partially covered for another 4-5 min. -is the eggplant soft? Take it off the heat. Season with salt/pepper if needed. We ran into one small problem during this – there was no cayenne in the house. How is that possible? We made due with some chili powder and red pepper flakes. 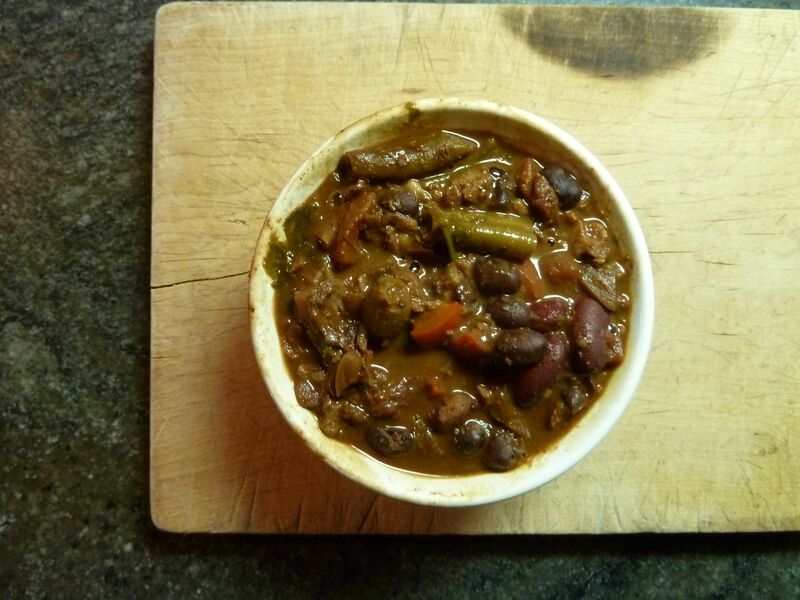 The chili powder gave it a smoky flavor, making it a bit more savory. It was a good addition, actually. I added a bit too much red pepper flakes. Adding a small sliver of cheese when serving on a cracker will take care of that. Looking forward to having this in a tofu wrap for lunch. Perfect beach food. You are currently browsing the peppers category at The Dainty Dot.